Electricity choice in the Boston area has swelled in popularity in recent years as more consumers have become aware of the savings that competitive suppliers are offering. The deregulation of power markets in Massachusetts has resulted in the opportunity for Boston citizens to reduce their electricity bills by comparing offers presented by multiple energy companies. While multiple offers is a good thing for the overall consumer base, taking the time to properly compare Boston electricity prices can be overwhelming for some people who are still learning about the concepts behind electricity choice. 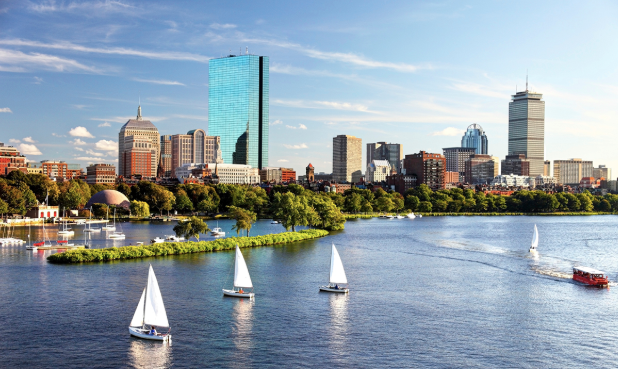 Boston homes and buildings receive their power from Eversource Energy. Eversource Energy services as the city’s local utility company. Though consumers are able to compare electricity prices for their power supply, they do not have the ability to shop for which company delivers them the power through the grid. Prior to rebranding itself as Eversource Energy, the company operated under the name NSTAR in the Boston region. Many customers still call the utility company by the name NSTAR. Boston residents who have lived in the city prior to 1999 might remember their local power company being called the Boston Edison Company. Before Massachusetts deregulated the power market, the Boston Edison Company provided regulated power supply to the city of Boston. Eversource Energy provides a default electricity supply rate for customers who have not taken the opportunity to compare Boston electricity prices from multiple companies. The difference between the default rate and competitive prices has at times been significant. Customers who have not switched and compared energy suppliers can lower their Eversource electricity bills by over ten percent. At the end of 2017 roughly 38% of residential customers in the Boston area had selected a competitive supplier.